A Special Note: Friends, as most of you know by now, HMSC lost one of its brightest lights recently with the unexpected passing of Maryann Bozza. To honor one of her passions at HMSC, a special fund has been created to support the Interns she so valued. If choosing to donate here, please select “Hatfield Marine Science Center Fund for Excellence” from the drop down to the right or below and then click “Make a Gift”. You will be taken to the OSU Foundation page where you can add your gift amount and personal information. In the “Would you like your gift to honor someone special?” section you can list it in memory of Maryann and indicate you would like to go to the Internship fund. If you need assistance, please reach out to Shannon Reed at 541-867-0212 or Shannon.reed@oregonstate.edu. Support the Marine Studies Initiative—Join the Coastal Community Challenge! The Hatfield Marine Science Center is 50 years young - help us honor the past and celebrate the future. The marine and coastal environments of the Pacific Northwest are a pristine and important resource for the nation. For more than five decades, the OSU Hatfield Marine Science Center has conducted research and provided educational opportunities for students and life-long learners of all ages to promote the conservation of these environments and their natural resources. 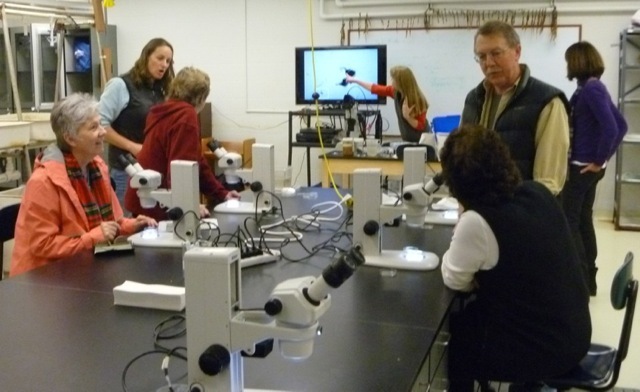 During that time, HMSC has grown into the largest marine laboratory in the Pacific Northwest, and has hosted millions of visitors to its public education facilities. In addition to Oregon State University and our federal and state agency partners, many in the coastal and regional community support HMSC's mission of research, education, and outreach in marine sciences through collaborative partnerships. The Friends of Hatfield Marine Science Center support HMSC as donors and volunteers. This membership organization provides vital assistance to HMSC to educate the public about cutting edge marine science, support students through scholarships and equipment purchases, and promote responsible stewardship of our marine resources through outreach and education. Be a part of our HMSC Community! By joining Friends of Hatfield Marine Science Center with your tax-deductible donation or by volunteering, you will support these research and education programs while learning about exciting new developments and opportunities in marine science. To donate, click here or on the "Make a Gift" button. If you need assistance, please contact Shannon Reed at 541-867-0212.